Dashing General “Autie” Custer went home to Michigan to find a wife. 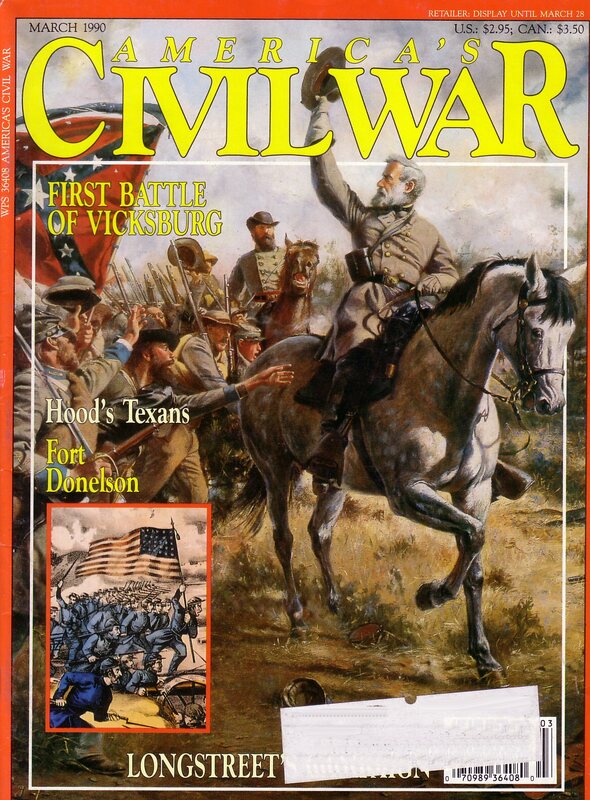 Hood’s Texas Brigade won a fearsome reputation for hard fighting. The dreaded bayonet was mainly a psychological weapon. Ulysses S. Grant thought his formidable Union army could take Vicksburg by direct assault. Renewed Southern spirit, and suspect Northern generalship, would prove him wrong. Union Flag Officer Andrew Foote steamed his ironclad armada directly toward Fort Donelson’s frowning guns. It would be, as he thought, an unequal fight. With the enemy stirring ominously on the Virginia peninsula, Robert E. Lee turned to his “old war horse”, James Longstreet, for help. Amid the tangled cypress swamps and thick pine forests of northern Florida, a thrown-together force of Confederates made a stand against Union invaders. History-conscious Mobile has much to lure visitors.